Thomas and Jennifer met at work in 2008, shortly before Thomas was promoted with Marriott and transferred from Hilton Head Island to St. Thomas, USVI. They kept up their friendship via e-mail and phone. Jennifer promised Thomas she would visit him in St. Thomas, and she made good on that promise in December 2012. After many laughs and a romantic boat trip in the beautiful Caribbean waters, they realized that all those years of friendship were about to take another direction. They dated long-distance, accruing many air miles and adventures along the way. “If I had to be in a long-distance relationship, St. Thomas was definitely not a bad place to repeatedly visit,” Jennifer said. On December 31, 2013, Thomas rented the top of the Harbour Town Lighthouse for a New Year’s Eve proposal. 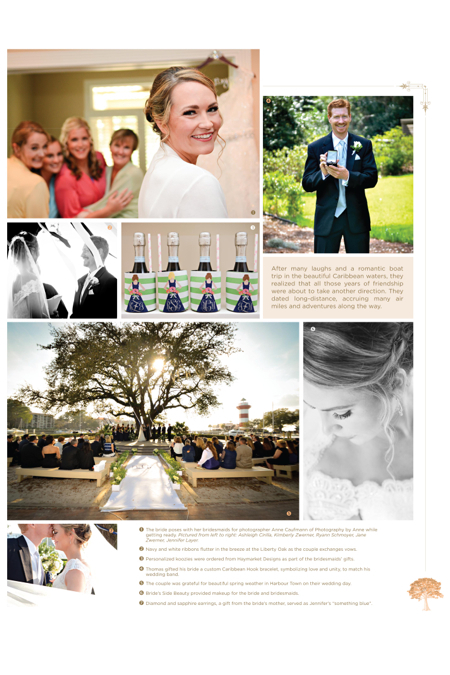 The proposal set the tone for a wedding weekend in Sea Pines Plantation. “Not only did we meet in Hilton Head and spend a lot of time there as a couple, we both individually had many memories of Sea Pines,” Jennifer said. 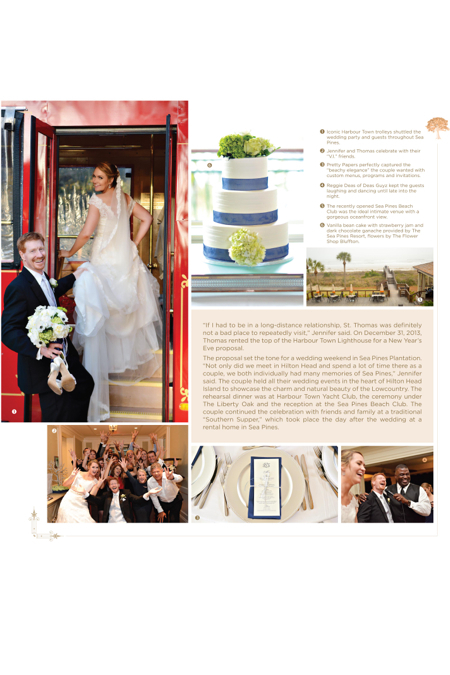 The couple held all their wedding events in the heart of Hilton Head Island to showcase the charm and natural beauty of the Lowcountry. 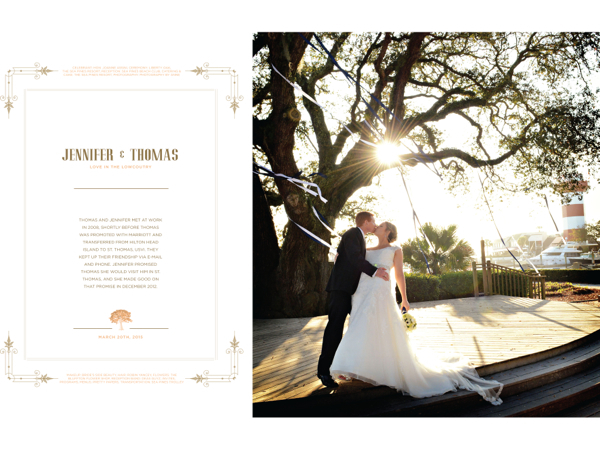 The rehearsal dinner was at Harbour Town Yacht Club, the ceremony under The Liberty Oak and the reception at the Sea Pines Beach Club. The couple continued the celebration with friends and family at a traditional “Southern Supper,” which took place the day after the wedding at a rental home in Sea Pines.